Wood fired oven is my latest passion. As a child, I used to see rustic brick made ovens on the countryside where women would make big free form loaves of bread. My mother never had one, the same way that she never made soaps, sausages, or cheese. All the nice things that were made back then. A few weeks ago, my new tenant and I traded a piece of tractor equipment for this antique stove. He said that he got it from the local Catholic church, but I have no idea how this kind of stove ended up in our region. 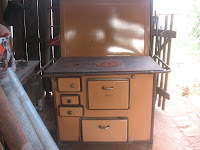 We have a very hot climate around here, and a metal stove that works as a heater is unwanted. It is of my knowledge that European descent people own this kind of appliance in the South, where it gets cold in the winter. My aunt told me that my grandmother used to have one. 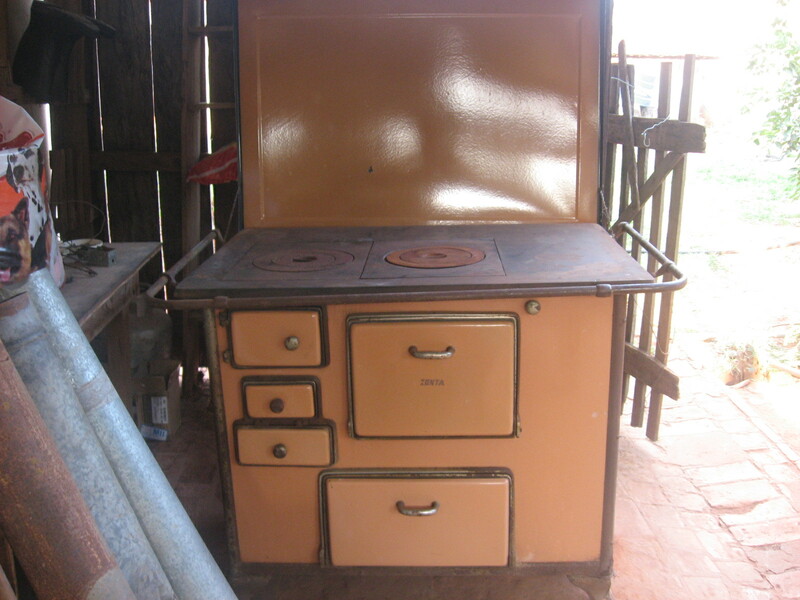 In Brazil, the brick made stove is the most common. So I became curious about the metal stove and adopted it. But it came without a part of the chimney, what makes my baking almost impossible. Today, a woman from my church brought me a ceramic piece that may help to assemble the chimney. I am hoping for the best.